Retail is a cutthroat business. Customer habits shift frequently, which means the best ways to engage even the most loyal of shoppers are completely different year-to-year. Combine that with the notion of e-commerce behemoth monopolies and their seemingly infinite ability to beat every price and fulfill outrageous shipping needs, and what’s left is a barren landscape where only the agile survive. Golf Town was almost one of those victims. After bankruptcy in late 2016, the Vaughn-based retailer needed to find a new way to connect with customers. There were a lot of options on the table—shift to an e-commerce-centric model, open more stores, close more stores, or even start selling a varied amount of products. At the heart of it all, Golf Town considered a lot of ways to evolve past the faults that led them to a dismal 2016, but only one real option stood out: Connect with customers by any means necessary. To accomplish this, Golf Town—which is owned by Fairfax Holdings, a conglomerate that also owns Sporting life and Toys ‘R’ Us Canada—brought in new partners that connected them in ways that were not previously possible. This meant eschewing traditional retail methods and embracing tech, whether it be through inventory, marketing, or connecting with consumers at store level. LeCoq joined Golf Town shortly after the company declared bankruptcy in 2016 and has helped spearhead a complete turnaround for the retailer. 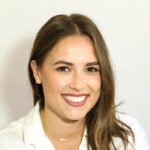 The key points of Golf Town’s reinvention lie in two areas: Finding the best possible partners to build out the retailer’s marketing tech stack, and sticking to the idea that Golf Town must innovate while at the same time refusing to completely reinvent themselves and their brand. A prime example of this is Golf Town’s pilot partnership with Pelmorex. If the name isn’t familiar, Pelmorex is the parent company of The Weather Network, and they recently launched a new arm devoted to data, catering perfectly to Golf Town’s needs. Golf Town still heavily relies on physical fliers being sent out to customers. Fliers drive business, keep customers aware of new products and show exactly what the retailer has to offer. Typically, fliers are targeted to neighbourhoods by postal code—when a new customer purchases something, they give out their postal code, which is then used to guide flyer distribution. This method is only somewhat effective as it can be difficult to track if flyers are truly driving incremental revenue. Enter Pelmorex. With over eight million downloads of their Weather Network app, Pelmorex uses the app’s “Follow-me” function to anonymously aggregate users are in real-time and analyze that data through their Location Insights platform. Golf Town was able to geofence their own stores, as well as every golf course in Canada, and hand that data over to Pelmorex. Pelmorex is then able to determine aggregated user segments that enter golf courses but do not enter Golf Town locations. From there, it was simple, as all Golf Town had to do was send flyers to neighbourhoods with the greatest congestion of “Golfing non-Golf Town customers,” as LeCoq describes them. Despite actually cutting their total flyer allotment, Golf Town saw double-digit sales growth immediately following that campaign. It’s one example of “innovation, not invention,” according to LeCoq. As more consumers migrate towards online shopping, it only seems natural that retailers follow them and set up expansive online stores. That one-track model is easy to get lost in, especially when it comes to experiential purchases. In some market segments, customers want to try or feel things before they purchase them, and Golf Town fits that mold. When LeCoq came to Golf Town, the e-commerce setup was counter-productive. 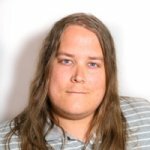 There was a 10 per cent margin difference between in-store inventory and online inventory pricing and the retail team had been shooting themselves in the foot by always trying to grow e-commerce without considering the in-store experience. LeCoq was able to balance Golf Town’s e-commerce approach by focusing on traditional marketing and championing the in-store experience. Right now, Golf Town does about 10 per cent of its sales online, and they have no game plan to take it much beyond that. Instead, they are doing everything they can to empower their greatest asset: store associates. Golf Town accomplished this through another key partnership, this time with Toronto’s Nudge Rewards. Nudge is a startup that enables organizations to connect with their staff through rewards programs, quizzes, and a strong transfer of information and best practices. 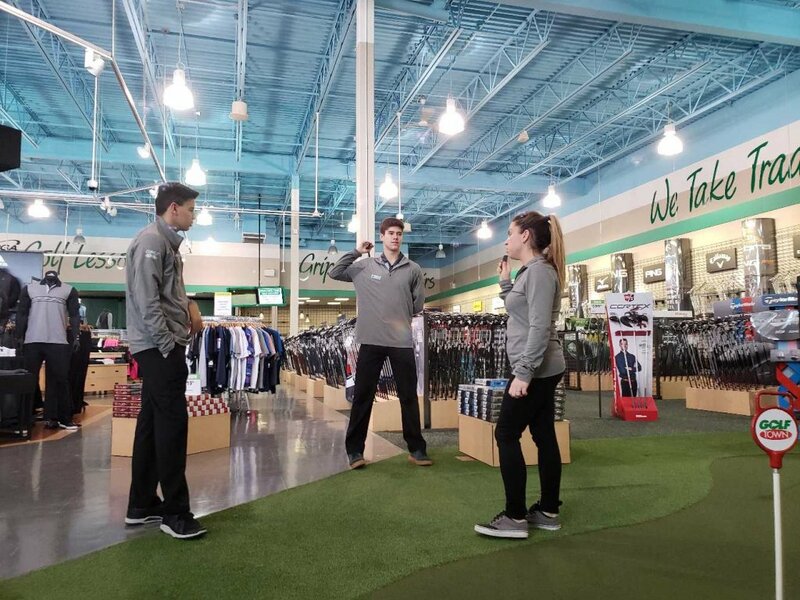 Golf Town used Nudge to inform their staff and keep them up to date with all of the information they needed to know, whether it’s learning about new products, sharing confidence levels surrounding new inventory, and even learning nuanced material about the field they are in or how other stores are operating. LeCoq uses the recently-held PGA Show as an example. Avid golfers will have either attended or read about the show, and they will show up in-store asking about the latest product innovations, Nudge can keep staff informed about everything new in the industry, keeping staff educated and aware of their customer’s needs. At the very least, in-store staff can keep up in conversation with even the most seasoned of golf experts, driving repeat visits and a deeper relationship with the store. Using technology as an enabler is how Golf Town will continue to rise from a rocky past. In-store and marketing innovation is important, but Golf Town also had to consider their back-end as well, and that’s where one of the retailer’s largest partners comes in. Golf Town began using Salesforce’s Marketing Cloud in 2017 and added Commerce Cloud in early 2018. The additions of both Salesforce clouds completed Golf Town’s “marketing tech stack” and really enabled the retailer to distance themselves from the Golf Town that entered bankruptcy in 2016. LeCoq uses the data Golf Town obtained from Pelmorex as an example. They can use this list of acquirable customers, plug it into Marketing Cloud, and find brand new ways to engage with this highly-actionable audience. The use of Salesforce is how Golf Town was actually able to obtain double-digit growth—having the data is one thing, but executing with it is another thing completely. The next steps for LeCoq and Golf Town is to fully embrace all of the partners (and data) they now have at their disposal. Golf Town recently merged with Sporting Life, and though both will keep branding separate, they can combine their research and technology to better address customer needs. There are talks of setting up pop-up shops around golf courses, opening smaller stores, and even capitalizing on when Golf Town and Sporting life do the most business—the former brings in customers during the summer, while the latter is active in the winter. There are multiple ways to play off one another and it can all be unlocked through careful management of data and innovation. So far, LeCoq has all the tools.